Being quarantined as a safety measure at the height of the swine flu drama only increased the family feeling that is CPMT. From April 26 to May 2, the Council for the Preservation of the Mahayana Tradition (CPMT), the managing body of directors, spiritual program coordinators, teachers and board members of FPMT, gathered under a large tent on the grounds of Institut Vajra Yogini (IVY) in France to discuss the identity, activity and vision of the organization. 188 participants from twenty-six countries represented eighty of the 154 centers, projects and social service initiatives that make up FPMT. 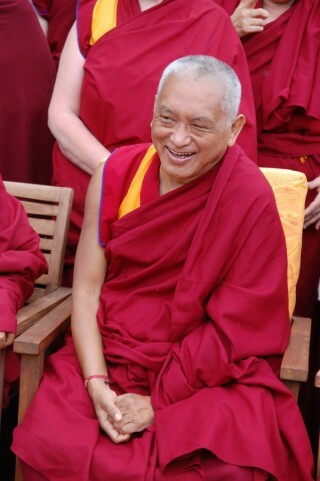 In 1975, Lama Yeshe and Lama Zopa Rinpoche held a meeting with nine of their senior students in an effort to coordinate their rapidly growing network of Dharma activity. Thirty-three years later, the council is going strong.